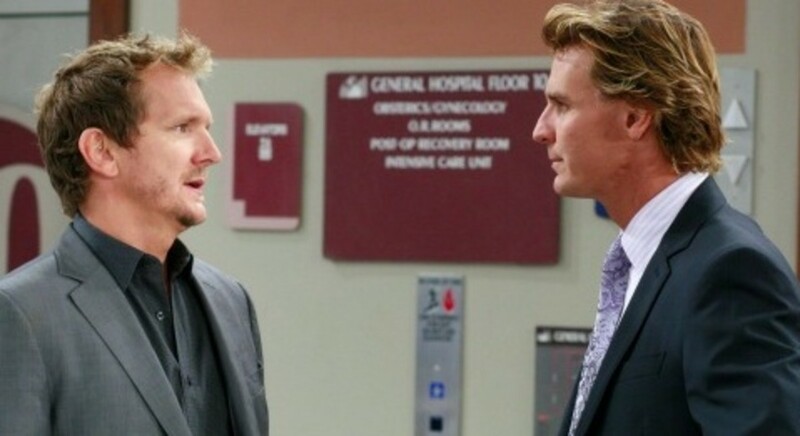 The Brothers Jacks Return to Port Charles on General Hospital! If you read my cryptic, General Hospital spoilers on Friday, you&apos;ve likely already guessed a couple of my riddles. The dastardly villain I alluded to was of course Jerry Jacks, played once again by Sebastian Roche. Meanwhile, the baby daddy back to complicate his ex&apos;s love life, is Jerry&apos;s kid brother, Jasper "Jax" Jacks (Ingo Rademacher), who is also returning to the ABC serial. Roche gave an interview with TV Guide&apos;s Michael Logan previewing the havoc his character plans to wreak on Port Charles this time around. Rademacher has been tweeting his excitement over the returns as well. Are you pumped to see the brothers Jacks back in Port Charles? Sound off in the comments! SPOILERS: Another Deadly Crash DEVASTATES Port Charles on General Hospital!